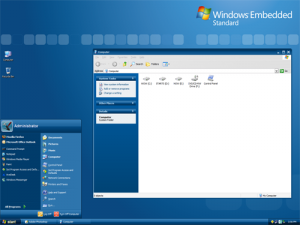 Microsoft has come out with a new Windows XP and 2003 theme which can be found in Windows Embedded Standard CTP Refresh. It is not available for download publicly, but has been extracted from the OS itself so you can download it from the link provided in the end. If you like this theme then you can get it below. The installation instructions are listed below as well. Download the zip package. The link is listed above. 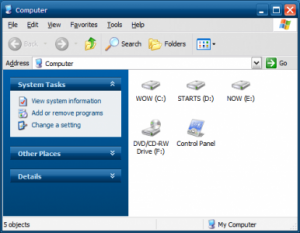 Unzip the archive to a folder. Open the folder that you extracted the zip file to. Select all of the files and folders and copy them using either “right click -> copy” or Ctrl+C. Paste the files and folders that you copied into this folder. Now, right click on your desktop and select Properties. 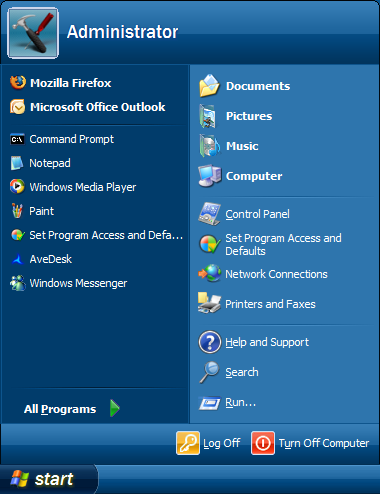 In the Windows and buttons list, change the selection to the item labeled Windows XP style that is not already selected. Now change it back to the first entry labeled the same thing. The Embedded option will now be available in the Color Scheme list. Select it. Click OK and wait for the changes to take place! Another great theme! Thanks for the great instructions, they are most helpful. thanks for sharing this official theme. it works just like stated. i did not want to mess with any third party stuff. FYI: there is also an official Zune theme by Microsoft,just type in google search Windows XP Zune Theme and the first search result is the official link. 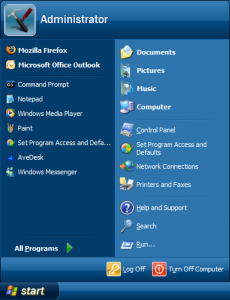 Really?the first thing I do to the copy of real windows embedded standard 2009 is to change to the classic theme and shut the themes services off.